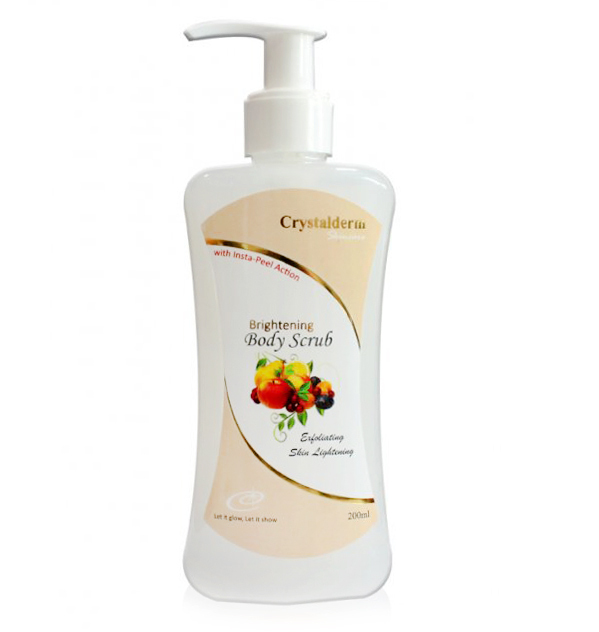 Crystalderm Brightening Body Scrub with Insta-Peel action lightens your skin as it effectively removes dead skin build-up, gets rid of toxins and impurities, giving you skin that fresh and healthy glow. 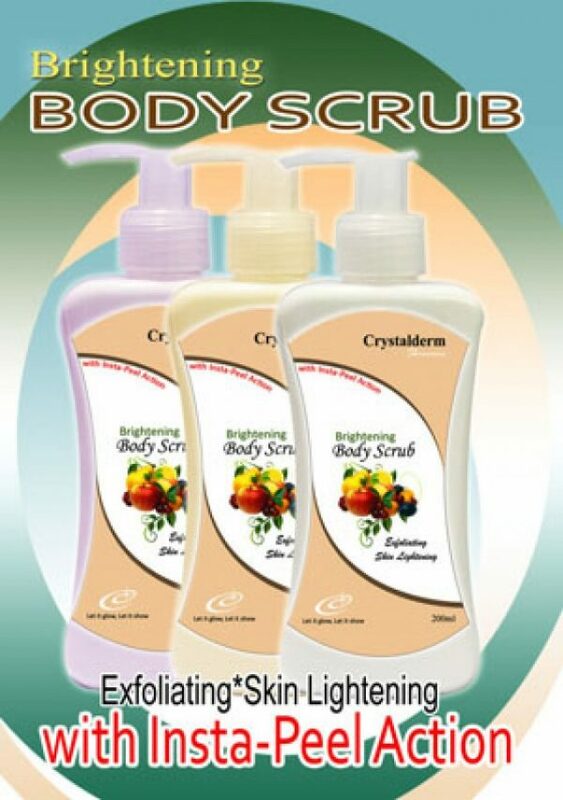 How to use: While your skin is still dry or before taking a shower, apply ample amount of the body scrub on body parts (arms, legs, neck, back, thighs, etc.). Massage a little to ensure even application. Let dry for a few seconds then rub off gently. The insta-peel action or the “instant-libag alis” will cause dirt and impurities to to peel off the skin. Wash off or take a shower. 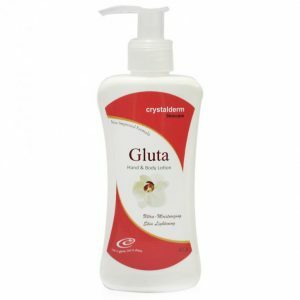 After shower, use Crystalderm Gluta Hand and Body Lotion for extra-pampering. 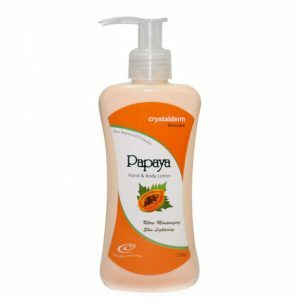 Crystalderm Papaya Hand & Body Lotion contains natural papaya enzymes that help keep your skin fair, smooth and healthy looking. Papain is an exfoliating agent that can help remove dark spots and lighten the skin. Papain is commonly used in skincare products because of the benefits it provides. 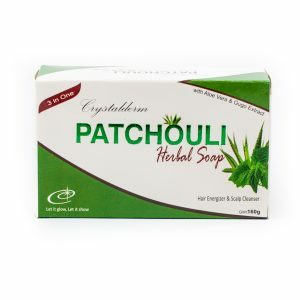 It helps exfoliate and moisturize dry skin and gives it a luminous, healthy glow. 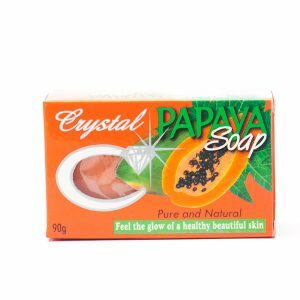 This soap softens and refine pores. 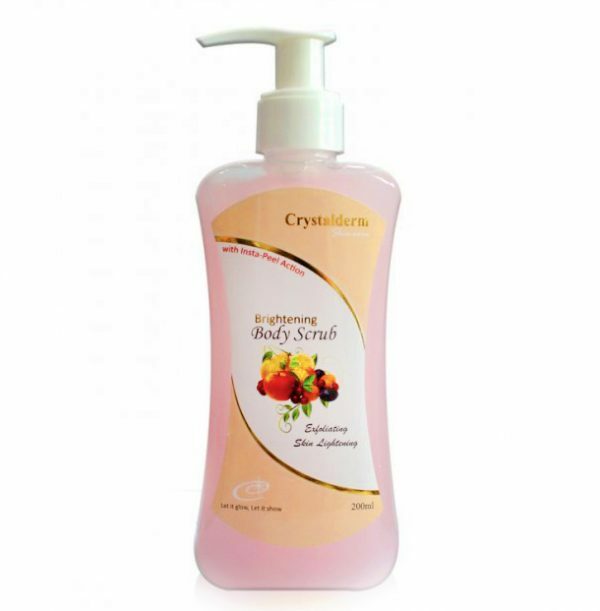 Crystalderm Hand & Body Lotion with its high grade anti-oxidant and nourishing glutathione ingredient, it keeps your skin ultra-moisturized, whiter and younger looking.